“When 22-year-old Olivia is coerced into marriage by the cruel Alistair Sheldon, she leaves England for Egypt, his home and the land of her own childhood. Reluctant as she is to go with Alistair, it’s in her new home that she finds happiness in surprising places: she is reunited with her long-estranged sister, Clara, and falls – impossibly and illicitly – in love with her husband’s boarder, Captain Edward Bertram. I’d been recommended by the publisher that I might like to try this debut novel since I’m a big fan of Dinah Jefferies novels. It sounded similar to some of her other novels so I decided to give it a try. Well, this wasn’t exactly what I expected! This book brilliantly blends romance and a “whodunnit” which unlike other books I’ve read recently, I really struggled to guess at, let alone guess correctly! The pacing of the book was fantastic, I got through it in a few days, mainly as I couldn’t put it down. Each chapter delved deeper into the mystery and I found myself wanting to read and discover more as the book progressed. Although the love story element between Olivia and Edward was not the main plot point, or even the most enjoyable element, I did enjoy the scenes they had together. There was a real tension to it which I loved. If anything I would have liked more description, it’s something I love about Jefferies books most of all. The book locations are so wonderful I wanted to have been able to visualise more of it as the story progressed. 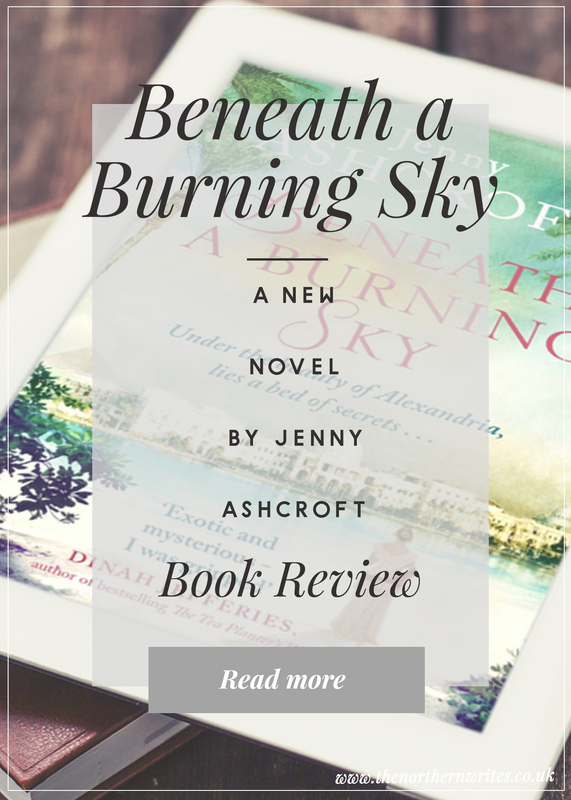 Beneath A Burning Sky is a fast-paced and fantastic read, if I wasn’t wondering whodunnit I was wondering “will they/won’t they”. 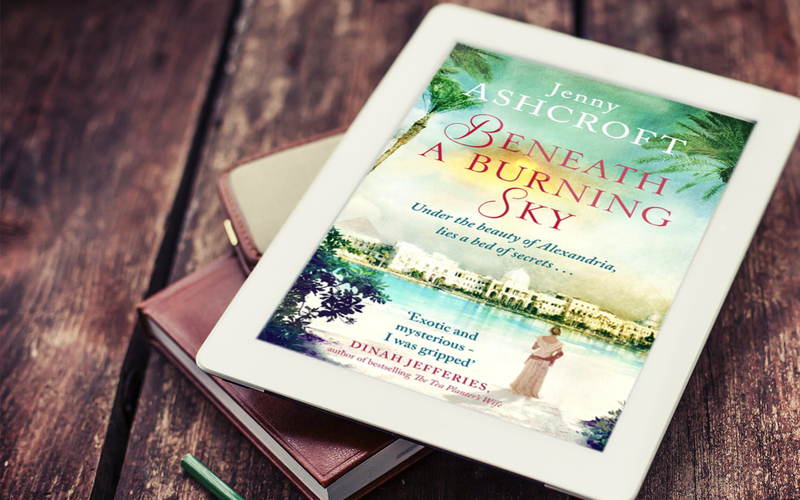 A truly multi-layered and interesting story, I can’t wait to see what Jenny Ashcroft tackles next! This sounds like such an interesting read! I’m not a fan of romances but mystery and kidnapping might make it worth a chance. wow this sounds like quite an intense book! I definitely would find the lack of description something I would struggle with, especially when its such an exotic setting like Egypt! I haven’t really got any romances on my TBR, so this is the perfect place to start! Ohhh this sounds right up my street! I love mysteries in a novel and the added romance sounds perfect for me! I’ll have to pick this up! I only ever buy books off blog recommendations, can never face purchasing a book without a good review. Ooh this sounds good, I like the idea of this tension buildup romance with mystery plot- you are fuelling my book addiction.